The worldwide pay-TV market will continue to grow to generate service revenues of $236 billion by the end of next year according to ABI Research. Cable TV operators continue to face increasing competition from IPTV and OTT services. Increasing broadband penetration and the growing number of people using Internet-connected devices are supporting subscriber growth in IPTV and OTT services. “Cable TV services will still dominate the overall pay-TV market, although this segment’s market share is expected to slightly decrease from 2011. Cable TV service revenue will account for 48.6 per cent of total pay TV revenue in 2012,” says Jason Blackwell, practice director, digital home. “In North America, where cable TV penetration is nearly saturated, cable companies are losing TV subscribers. However, the continuous growth of the cable TV market in other regions will drive global cable TV revenue to increase in the coming years. In the emerging markets, cable TV will be a better choice for consumers due to its relatively low pricing,” says Khin Sandi Lynn, research analyst, broadband. 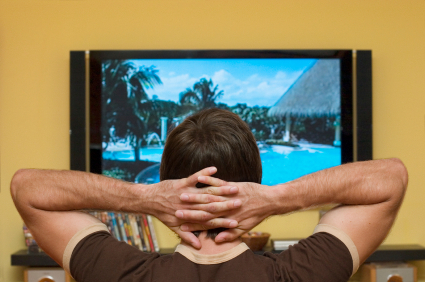 Pay-TV operators are finding different ways to improve customer growth. Multiscreen TV services, which allow consumers to receive TV content on Internet-connected devices such as iPhones and iPads, are one of the most recent innovations introduced in the pay-TV market. Pay-TV operators of different platforms have started to introduce multiscreen services, including French IPTV giant Orange, cable operator B.net in Belgium, and UK satellite TV operator BSkyB. The operators intend to build up better customer loyalty as well as raise average revenue per user (ARPU) by offering multiscreen TV services.